Palmyra Atoll is one of the most remote and isolated places on the planet. Most people have heard its name but actually they don’t know almost anything about this place. However, this is quite normal, considering the small number of people who have been here, of course, if we don’t count the period during the WW2, when the islands were a popular refueling station for the American ships. Here you will find 20 facts about the atoll that will make you a bit more familiar with this small piece of the paradise. Palmyra Atoll was discovered for the first time by Edmond Fanning in 1798. He found the islands while he was sailing from America to Asia. The atoll was completely uninhabited, so captain Fanning was probably the first person to set foot on the islands. 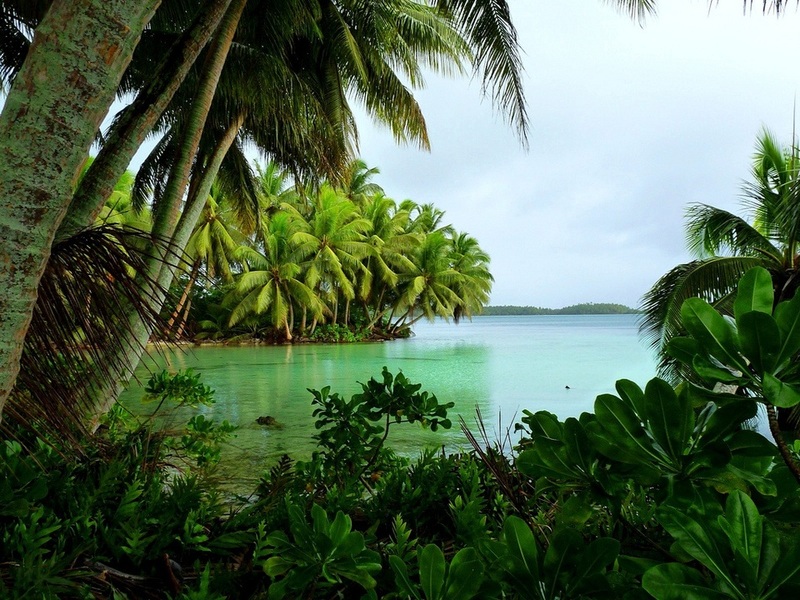 Palmyra Atoll is considered one of the most remote and isolated corners on the planet. It is located in the central parts of the Pacific, more than 1600 km southwest of the Hawaii Island. Its closest neighbors are the islands of Kiribati, whose main island is located “only” 690 km southeast. Palmyra Atoll is one of the rainiest places on the planet. It receives about 4500 mm of precipitation per year. As it has an equatorial climate, it receives heavy rainfalls all over the year with no exceptions or dry seasons. The average daytime temperature of Palmyra doesn’t change over the year. With small differences, it is about 29 – 30°C. In combination with the heavy rains, the weather here is very humid, and it requires time for a person to adapt. Usually most of the tropical islands experience frequent tropical storms, which in the different parts of the world are known under different names – typhoons, hurricanes, cyclones. Since Palmyra Atoll is located only 652 km north of the equator, there is a very low chance to be affected by a tropical cyclone in comparison to other Pacific islands. Similarly to all other atolls, Palmyra has an insignificant altitude. In its highest point it reaches only 12 meters above seal level. For this reason, the islands are especially vulnerable to huge ocean waves such as tsunami, which might appear after earthquakes or volcanic eruptions in other parts of the ocean or even bigger ocean waves during stronger tropical storms in the area. For most people is very surprising to hear that such a popular island is uninhabited. However, the islands of Palmyra are home to only between 4 and 20 people (the data is from 2008). In addition, most of these people are not permanently living here. Most of them are scientists that come here to research and observe this isolated corner on the planet for short periods of time. In contrast to many other pacific atolls, Palmyra has never been used for nuclear tests. This is a great luck for the local flora and fauna because the group of islands today is not affected from radiation, which is not the case with other places such the Bikini Atoll. The coastline of this remote atoll is approximately 14 km long. The islands have some of the most beautiful beaches you can imagine. They are snow-white and are of coral origin. Some of them are small while others are hundreds of meters long. Coral reefs break the waves about 200 to 500 meters off the shore. For this reason, the coastal water is almost always calm and quiet. Because of the abundant equatorial rainfalls, the islands of Palmyra Atoll, with no exceptions, are covered by dense vegetation. It mostly consists of palm trees but there are many other species of plants too. In the coastal shallow waters of the lagoon thrive mangrove forests, which create a safe environment for a number of species of sea creatures. Palmyra has one of the most beautiful lagoons in the world. It is for the most part separated from the ocean by dry land. The lagoon is clean, shallow, transparent and with light emerald green nuances. Although significantly modified by human activity in the past, today it is actually one of the most preserved places in the world. According to National Geographic Magazine, the atoll of Palmyra is home to 130 species of stony corals. The territory of Palmyra is really very small, and still here you can find bigger diversity than other tropical islands and atolls. For comparison, the Mesoamerican Coral Reef, which stretches between Yucatan and Belize, is home to between 65 and 70 species of stony corals, although it has hundreds of times bigger area. Travelers are actually allowed to visit Palmyra Atoll but only under certain conditions. For example, if you want to go there, you have to ask for a special permission from the Fish and Wildlife Service of the United States, if you want to visit this place with a private boat or a yacht. Even if you have a permission to visit Palmyra Atoll, you can stay there for not more than 7 days. Also it is not allowed to have more than 6 yachts per month in this area. The reason is that this place is an important refuge for a number of species of animals. The atoll of Palmyra belongs to the United States. However, even if a U.S territory, the residents and citizens of the United States also need a special permission if they want to visit the islands. Even if being so beautiful, as you probably expect, Palmyra is not a tourist island. It doesn’t offer tourist facilities. The very few people who have the chance to visit this place usually sleep in their boats, yachts or in tents on the coast. There is a very small number of buildings on the islands, and these are mostly bungalows for the people who work and research here. While most tropical islands are a synonym of vacation, this place is very different. Palmyra is an important research center. The islands are mostly used from the scientists as a place to observe the human civilization’s impact on the environment. Palmyra Atoll is a part of the largest protected area on the planet today. It belongs to the Pacific Remote Islands Marine National Monument which covers an area of 490 000 sq.mi. It is a huge area in the central parts of the Pacific Ocean and includes also Kingman Reef, Jarvis Island, Johnston Atoll, Howland Island, Baker Island and others. Many decades after the end of the Second World War, Palmyra Atoll still keeps some traces from those times. You can find ruins of old bunkers, old airport and even old, forgotten and covered with rust military planes and other machines. Many people call Palmyra an island. However, this is an atoll, and it consists of a large number of islands. Actually, 4 of the islands are bigger but there are at least 46 other islands, of course, if we count also the smaller islets and rocks.